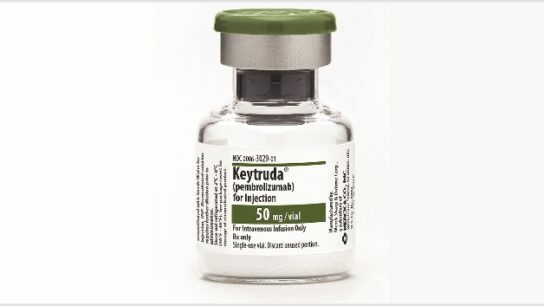 Merck announced that the Food and Drug Administration (FDA) has approved Keytruda (pembrolizumab) as monotherapy for the first-line treatment of patients with stage III non-small cell lung cancer (NSCLC) who are not candidates for surgical resection or definitive chemoradiation, or metastatic NSCLC, and whose tumors express PD-L1 (tumor proportion score [TPS] ≥1%) as determined by an FDA-approved test, with no EGFR or ALK genomic tumor aberrations. Sun Pharma announced the launch of Infugem (gemcitabine in sodium chloride injection) 10mg/mL for intravenous (IV) use in a ready-to-administer (RTA) bag. The approval was based on data from the IMpower 150 trial, an open-label study involving 1202 patients with stage IV metastatic NSq NSCLC who had not received prior chemotherapy for metastatic disease, but could have received prior EGFR or ALK kinase inhibitor if appropriate, regardless of PD-L1 or T-effector gene status and ECOG performance status 0 or 1. Hospitals in the top-volume quintile (>28 cases per year) were associated with decreased odds of in-hospital mortality (odds ratio, 0.45), postoperative surgical complications (odds ratio, 0.63), and acute medical complications (odds ratio, 0.63). Lorbrena, a third generation ALK tyrosine kinase inhibitor (TKI), has been approved under the accelerated pathway based on tumor response rate and duration of response. The approval was supported by data from the Phase 3 randomized, double-blind, multicenter, placebo-controlled KEYNOTE-407 trial. 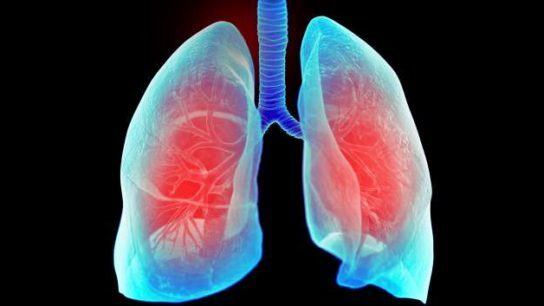 To investigate the association between this commonly used antihypertensive class and lung cancer, researchers conducted a population based cohort study involving 992,061 patients from the United Kingdom Clinical Practice Research Datalink. Overall survival was significantly prolonged with durvalumab versus placebo (stratified hazard ratio [HR] for death, 0.68; P=.0025). For progression-free survival, the median duration was 17.2 months in the durvalumab group and 5.6 months in the placebo group. The researchers found that the rate of progression-free survival was higher with brigatinib compared with crizotinib (estimated 12-month progression-free survival, 67% vs 43%; hazard ratio for disease progression or death, 0.49).